The NXT Championship match at TakeOver: New York has been confirmed following an injury that forced Tommaso Ciampa to relinquish the title. 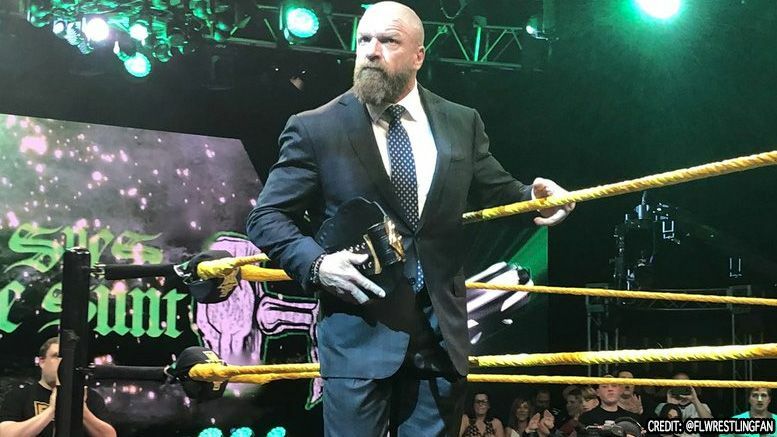 Triple H announced at the NXT TV tapings on Wednesday that Johnny Gargano would face-off at TakeOver next month in a title match against the winner of Ricochet vs. Adam Cole vs. Aleister Black vs. Velveteen Dream vs. Matt Riddle moments later in the taping — which was won by Cole. The NXT title match at TakeOver between Cole and Gargano will be two-out-of-three falls. At the beginning of Triple H’s promo, the WWE exec admitted he had planned on announcing Gargano vs. Ciampa for the NXT Championship at TakeOver … but that obviously could no longer happen due to Tommaso suffering a neck injury that required surgery. As we previously reported, Ciampa underwent surgery last week. Happy with the outcome? Tell us in the comments below.